The first individual stock I ever put under the volatility microscope on the blog was InterOil (IOC). The stock was trading just over 22 when I highlighted it back in July 2007, but what got my attention was that it had stratospheric implied volatility (IV) and historical volatility (HV) readings that were both above 150. “This is a keg of dynamite,” I proclaimed at the time, in what was probably an understatement. Within a month of my post, IOC traded as high as 42.00 and as low as 18.37 as speculation raged on the nature and extent of IOC’s oil and gas exploration efforts in Papua New Guinea. 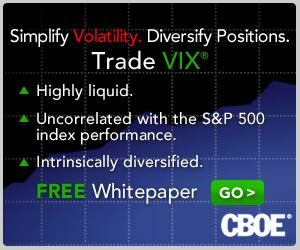 In 2008, the battle between bulls and bears continued in earnest with implied volatility in triple digits for most of the year and the financial crisis pushing the stock down as low as 8.90 after a pop to 41.62 earlier in the year. The events of 2009 finally gave the bulls something to hang their hat on, as consecutive world record natural gas discoveries were logged and high profile investors such as George Soros and T. Boone Pickens took large positions in the company. With the story slowly unfolding, the stock ran all the way up to the 70s and made a high of 84.05 at the beginning of the current month. As I write this the stock is now trading at about 62. With the lack of information coming out of Papua New Guinea, the stock continues to be a Rorschach test of sorts, trading on pure investor emotion and momentum a good deal of the time. The chart below, courtesy of Livevol, captures two years of the stock price history (top chart, with 50 day moving average in red and 200 day moving average in purple), as well as two years of 20 day historical volatility (blue) and 30 day implied volatility (red). There are quite a few interesting data points on this chart. One that I find particularly interesting is that IV has remained relatively flat since June 2009, even though the stock tripled from that level. The last month or so has seen a steady uptick in both IV and HV, perhaps foreshadowing the recent 26% drop and perhaps indicating that even more fireworks lie ahead. Historically, IOC’s HV has had trouble topping its IV, but one big news item can change that picture in a hurry.